Filed Under: News by techBratCat — Comments Off on The Book is Done! After about a year, Mike’s finished with the Manga Studio for Beginners. 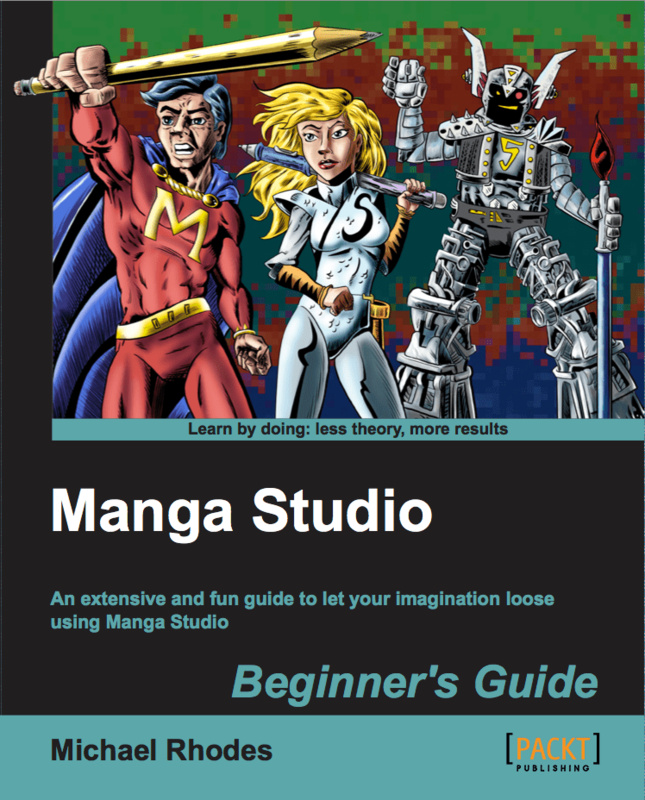 It’s written for Manga Studio 5 (or Clip Studio Paint 1) and is aimed not only for the total beginner, but also for experienced pros who want to learn more about Manga Studio and how it fits into their work flow. Go to http://bit.ly/1mKM36h to look at the cover and to buy a copy today! In the coming week or so, there’s going to be a website for the book, so watch this space. Just look for that cover, if you search for it on Amazon. Behind the shroud of this website, there’s improvements and additions coming. Michael’s working on some artwork and modifications to this, CRToons.com and QuantumGumbo.com sites. First will be more frequent updates and posts. If there’s any weird things happening to this site, it’s probably due to some changes that haven’t been implemented properly. A page refresh should solve some issues.